Heerema Marine Contractors is a privately owned company that operates internationally. At HMC, we believe that success is driven by commitment. Commitment to fulfilling our customers’ needs in an efficient, cost-effective way. Commitment to sound business principles that foster a drive for innovation and keep us pushing boundaries. And commitment to always delivering high quality, safe and sustainable services as we manage the entire supply chain of offshore construction – from design to completion. We get the job done, on time and in accordance with our customers’ expectations. To meet these challenges, we employ talented professionals with a hands-on mentality. Our teams consist of people from different cultures and disciplines, who are united by a shared passion for excellence. We are specialists in our field, we feel responsible for the work we do, and we care for safety and the environment. We value client satisfaction and take pride in our work. At HMC, we take good care of our people. We invest in their professional development, for example, through a Heerema Development Program (HDP), a structured program for HMC employees who will improve their current performance and will prepare them for next steps within HMC. Our incentive scheme awards people for their individual performance and for the company's achievements. 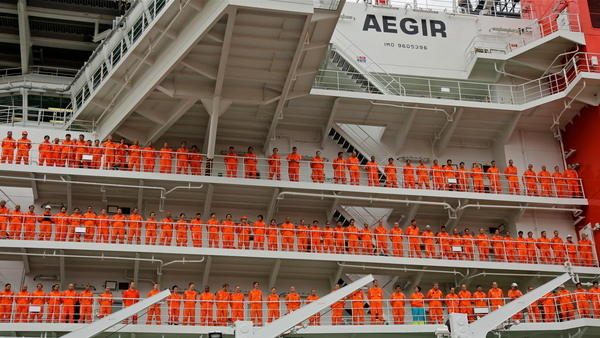 The Heerema Group's scope and scale offer onshore and offshore staff unique development opportunities. We encourage our people to explore positions across our divisions and create opportunities for them to work in the field on our projects around the world. As a result, our people are loyal to us and often remain with the company for decades. As a company we encourage a healthy work-life balance. Where possible we provide in-house fitness and other sports facilities.